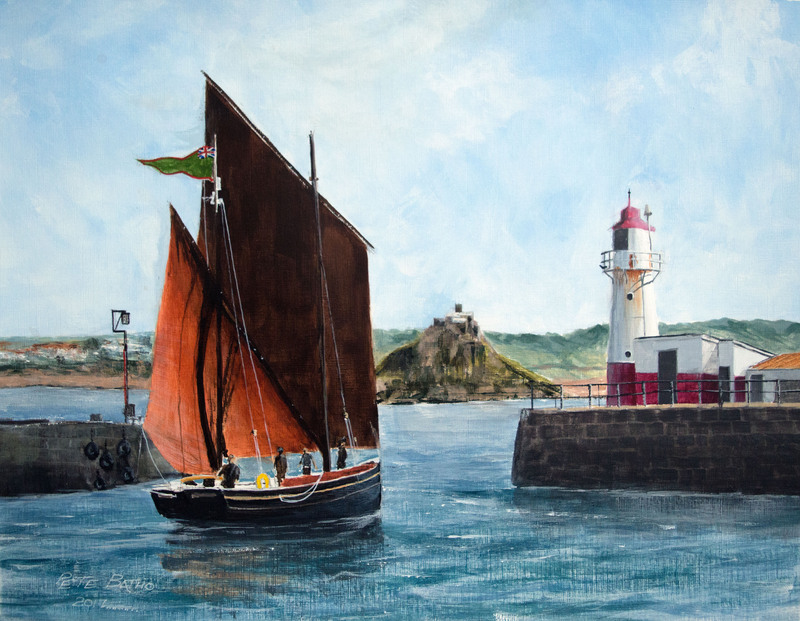 Cornish Lugger ‘Happy Return’ Leaving Newlyn Harbour. Acrylic on Galeria paper. 20″ x 16″.